This is a round Alta Crest Farms porcelain sign. This particular Alta Crest Farms sign is predominantly navy with red and white text. 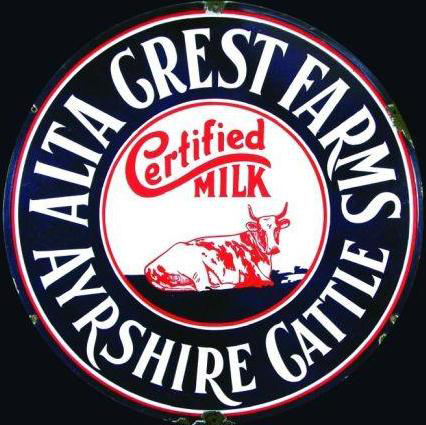 It reads, “Alta Crest Farms, Ayrshire Cattle, Certified Milk” and features a red dairy cow in the center.